Today’s blog post is going to be short and sweet Beauty tip for your skin .It is important to treat our skin often but we tend to neglect thinking we need to spend lot of time on prepping on the facepacks and feel lazy to do it. 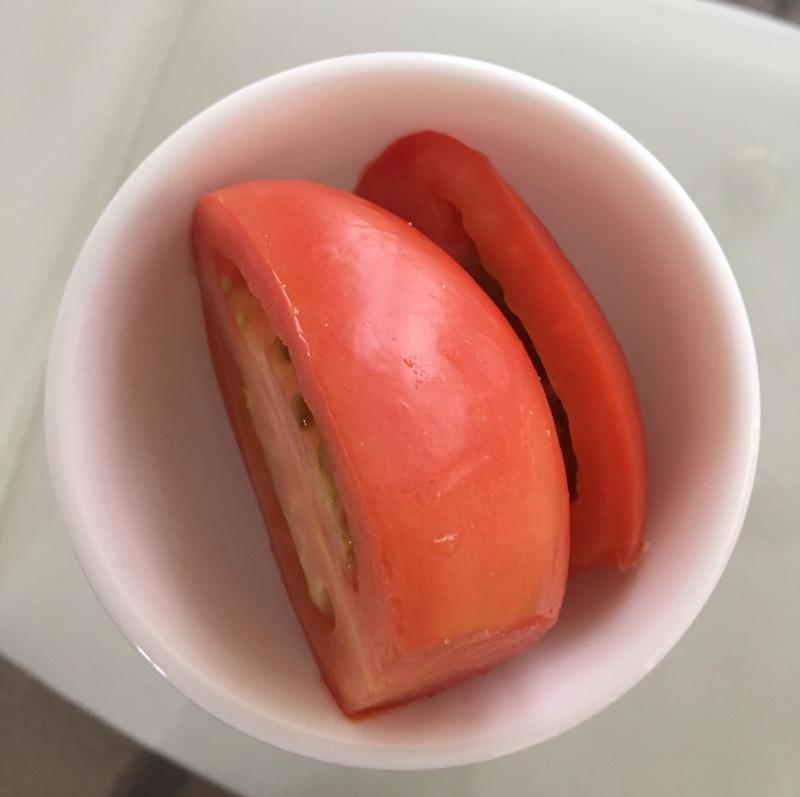 Take that leftover piece of tomato and rub it all over your face for couple of minutes and leave it to dry for 20 – 30 minutes. And wash your face with luke warm water. As tomatoes are rich in vitamins and minerals , they are great for skin. It cleans the pores and makes them tight, which makes skin feel soft and glowing and ofcourse healthy. This is favorite way to cleanse my skin as it is very simple and natural way. When there is way to Natually cleanse it ! Why not ? Don’t forget to Like the Blog if you enjoyed it!! Previous Post Denim over lovely Culotte !! Omg what!?!!? So nice to know. Great post! !